Amazing Exp. 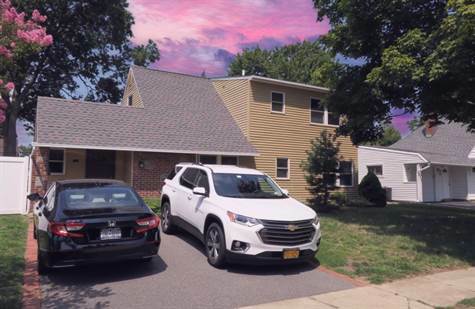 Ranch Located In Salisbury Section Of Westbury With East Meadow Schools On A Quiet Tree Lined Block. Updated Roof, Windows, Siding, Cac, Heat, Electric, H/W Floors, Vaulted Ceiling In Master Bedroom, Open Floor Plan, New Kitchen With Granite And S/S Appliances And Island. Formal Dining Rm. New Bathrooms, New Shed And Fenced In Yard With Patio. Laundry Room And Storage Room. Taxes Do Not Include Star Savings Of $1238. Great Location Near All. No Open House's. Call To See. Won't Last!